We all have the best of intentions when we’re posting to Facebook. But let’s face it – sometimes we (me included – I’m guilty) are annoying and our friends and family are annoying. Facebook can be one big News Feed of annoying. But I have gotten pretty good at building what I call a Facebook News Feed Annoyance Deflector by using a combination of settings and a Google Chrome extension. Here’s a list of things that I use that you can apply to your own Facebook News Feed browsing to make it so excellent that you will live in a Facebook News Feed utopia filled with only the things you like. For: When you love your friends, but you don’t love their Facebook posts and you don’t want to see them in your News Feed. Go to your friend’s Facebook profile. You’ll see a button on their cover photo that says Following and has a check mark next to it. To remove their posts from your News Feed, click the Following button to uncheck it. It will now say Follow. Your friend’s post will no longer appear in your News Feed, allowing you to avoid the drama of unfriending someone but also keep annoying things out of your Facebook experience. For: That friend who lives 1,000 miles away and keeps inviting you to minor events that will require you to make travel arrangements. Or that friend who has bought in to one of those work-from-home sales schemes and invites you to every virtual or in-person event. Click on the gear icon on the top right of your page. 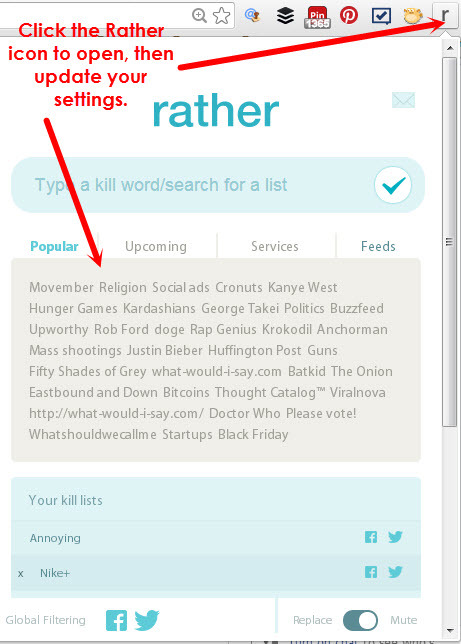 Once you’re on the Privacy Settings page, click Blocking from the left hand menu. Scroll down to Block event invites and then type the person’s name into the Block invites from box, and hit Enter. For: Anyone who plays FarmVille, Candy Crush … you know what? Just anyone who plays any annoying Facebook games and invites you to all of them. To block individual users, scroll down to Block app invites and then type the person’s name into the Block invites from box, and hit Enter. 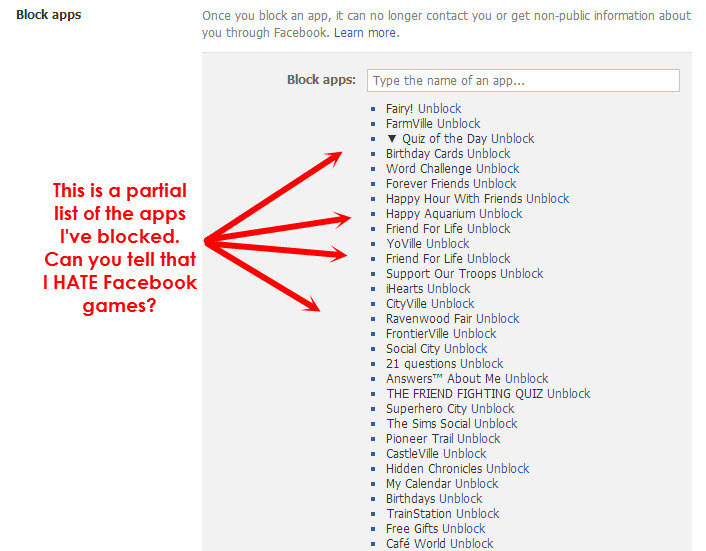 To block apps, scroll down to Block app invites and then type the apps name into the Block apps box, and hit Enter. For: That person who wants to get your attention about something like a photo of a piece of toast. And tags you in the photo. So then you get a notification and it shows up in your profile under pictures of you. Hey, I do NOT look like a piece of toast! Once you’re on the Privacy Settings page, click Timeline and Tagging from the left hand menu. Go to the Who can add things to my timeline? setting and click Edit. This setting asks: Review posts friends tag you in before they appear on your timeline? Select Enabled from the button below. Now, every time someone tags you in photos or posts, you are notified, and can choose to add them to your timeline or not. The Rather extension for Google Chrome is probably the greatest thing to ever happen to the Facebook News Feed. It blocks all the things you hate by replacing them with Instagram photos of things you like. To install Rather, open your Google Chrome browser and go to the Rather extension site. You’ll see a blue Free button on the top right. Click to add and the button will change to a green Added to Chrome button so you’ll know it’s installed. Click the Rather icon – located on the top right of your Chrome browser window – to open the editor. 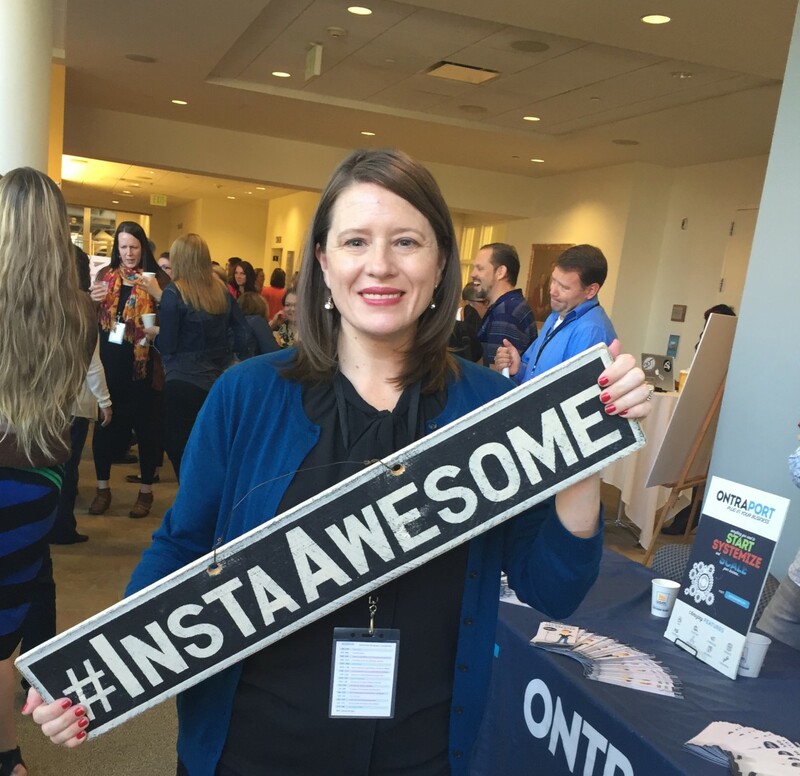 Fill in the keywords for things you want to block, and the hashtags for Instagram photos you want to appear in their place. Rather scans your News Feed, and posts that include keywords for the things on the block list will be replaced by Instagram photos with the hashtags of the things you like. Brilliant. Do you have any tips or tools to add to this list? Let me know in the comments. Your tips will help us all build our own versions of the Facebook News Feed utopia. And that’s something to be thankful for. Great post! Do you have any tips for how to pull people out from being hidden so you can see them more? Like old friends that don’t show up in the feed anymore? Thanks Bria! Yes – add your friends to your Close Friends list so you’ll get a notification every time they post something. To add your friends, go to their profiles and click the Friends button on their timeline, then Click the Close Friends option. If you can’t find the settings, let me know and I’ll show you a screenshot.